FERRODONA - Iron deficiency anemia that is unresponsive to dietary correction. Support for Iron deficiency anemia that is unresponsive to dietary correction. Iron absorption or metabolic regulation issues. Support for anemia, regeneration of cells following blood loss and prevention of iron deficiency. 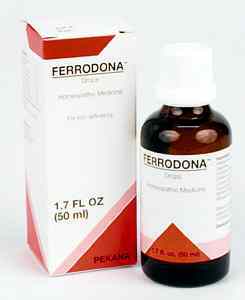 FERRODONA - Support for anemia, regeneration of cells following blood loss and prevention of iron deficiency. Anemia, or the lack of red blood cells, can result from severe blood loss, iron deficiency, degenerative dysfunction caused by chronic infections, or toxins that enter the bloodstream from acute infectious illnesses. These processes impact the entire energy of the body, which is dependent upon the efficiency and capacity of the erythrocytes. FERRODONA drops provide the body with high quality iron, help ensure the blood is supplied with essential minerals and rejuvenate the organs that furnish the body with blood. This preparation is especially important following childbirth, accidents that involve considerable loss of blood and treatment of acute or chronic illnesses. Dalektro N with fatigue and general metabolic difficulties with minerals. Oss-Regen, Aspergillus and Mycobactin S in bone marrow regulatory disorders. Please contact Dr. Hale, AP for more info. ¼ to ½ teaspoon taken twice daily. Until anemia is corrected. If condition is chronic or relapsing, Ferrodona is taken for 1 to 2 months at a time followed by 1 or 2 months off the remedy. INDICATIONS Anemia, or the lack of red blood cells, can result from severe blood loss, iron deficiency, degenerative dysfunction caused by chronic infections, or toxins that enter the bloodstream from acute infectious illnesses. These processes impact the entire energy of the body, which is dependent upon the efficiency and capacity of the erythrocytes. Arsenicum album 12X comprehensively addresses degenerative changes in the body that can lead to exhaustion, weight loss and anemia. It is also indicated as a specific stimulant for liver metabolism and plays a role in eliminating infectious conditions accompanied by weakness and fatigue. Ceanothus americana 5X treats spleen dysfunction where the organ is no longer able to fulfill its role as a blood depot and filter for removing impaired or dead red cells. This herb also treats damage to the spleen and liver, including pain in these organs that results from hypertrophy. Cinchona officinalis 4X effectively addresses anemia accompanied by exhaustion, atony of the digestive organs and inhibited functioning of the central nervous system that can affect hematopoiesis and lead to a yellowish skin color. In addition, it is useful for treatment of an enlarged spleen and plays an important role in restoring this organ s ability to regulate correctly. Cobaltum nitricum aids blood cell formation and the reticuloendothelial system (RES) the fundamental regulation tissues that ingest bacteria and other matter. It also activates absorption of iron, creation of protein and the thyroid gland s utilization of iodine. Moreover, it is advantageous to certain enzyme reactions in the pancreas, liver and spleen, and hinders the development of pernicious anemia. Cuprum sulfuricum 6X assists the creation of oxidation enzymes and serves as a trace element within at least 16 essential enzymes. It performs important functions to ensure proper hormonal balance, protein metabolism and connective tissue metabolism (in close cooperation with iron metabolism via the copper metal enzyme Ferrous oxidase). As a result, a chronic copper deficiency may lead to a disposition toward anemia that cannot be eliminated solely by iron substitution. It also plays a role in the creation of blood cells and antibodies, elimination of toxic metabolic waste products, support of immune system functions and re-absorption of nutritive iron. Natrium muriaticum 12X will stimulate a change that helps the body avoid the tendency to dehydrate and retain metabolic waste products, thus preventing anemia. Manganum aceticum 6X provides the trace element manganese. When combined with the other constituent substances of iron, copper and cobalt contained in FERRODONA drops, manganese helps create red blood cells and reduce the time necessary for healing. In addition, it activates a series of enzymes to help slow oxidation processes in the body that are accompanied by anemic weakness. 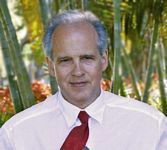 Lack of manganese may play an important role in the onset of depression and disequilibrium (imbalance), Parkinson s disease and Multiple sclerosis.